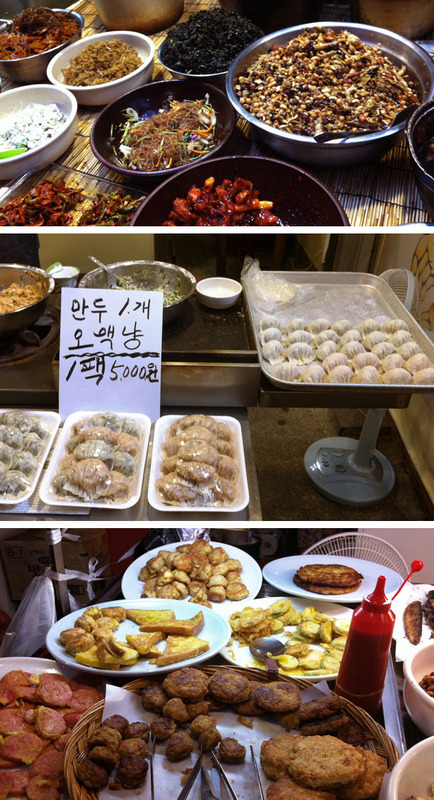 Eating in Seoul could be quite expensive. Tongin Market Dosirak (Korean lunch box) Café is for those who want to eat a variety of food at a reasonable price, while supporting the local market. 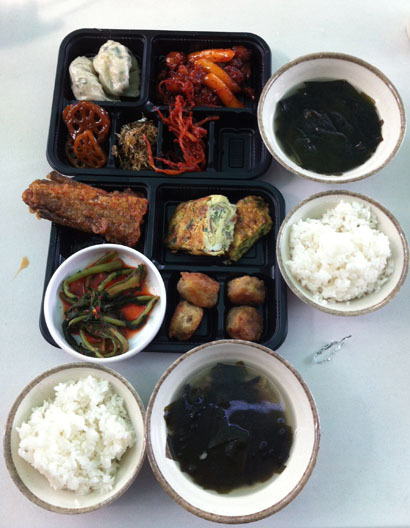 With ₩5,000 (about 4.50 USD) you can choose at least three side dishes, rice, and soup. Exchange cash with special gold tokens. One token is equivalent of ₩500 and usually 10 tokens will be enough for one person. 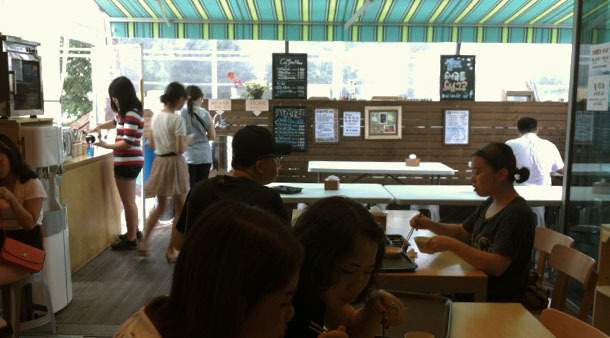 Grab an empty tray and go around the market and find vendors with “Dosirak Café” sign. You can exchange side dishes with your tokens. One side dish will cost one or two tokens. Rice and soup of the day is two tokens each and are provided in the eating area. Kimchi is complimentary. You can either take out your meal or eat at a designated area with eating utensils and water. Microwave and microwavable dishes are also provided just in case you want to reheat your food. Also, every Tuesday is “Bibimbap Day,” where instead of side dishes, you get to pick and choose toppings for your own bibimbap. With large supermarket chains like E-mart and Lotte Mart sprouting like mushrooms on every corner, traditional local markets like Tongin Market has lost many patrons. Dosirak Café is one of the many efforts to win back customers. So far it has stirred a lot of interest and hopefully it will contribute to the regeneration of many traditional markets. This will also be a great place for tourists and kids to visit since it provides a fun and easy way to explore various Korean side dishes. This entry was posted in Explore, Seoul, Taste and tagged dosirak, Korea, lunch, market, Seoul.